Q: How do I join the Lodge? A: Go to the Join Now page and click on either the “Annual” or “Monthly” option at the bottom of the page. Payment is made through PayPal. Q: Who started the Lodge? Nancy Antenucci (Between The Worlds LLC) is a seasoned tarot reader as well as a teacher of intuitive and creative strategies. Her book “Psychic Tarot – Using Your Natural Abilities to Read the Cards” is a compilation of 25 years of hard-earned wisdom, practical know-how and unending passion of the creative unknown to her clients, students and colleagues. 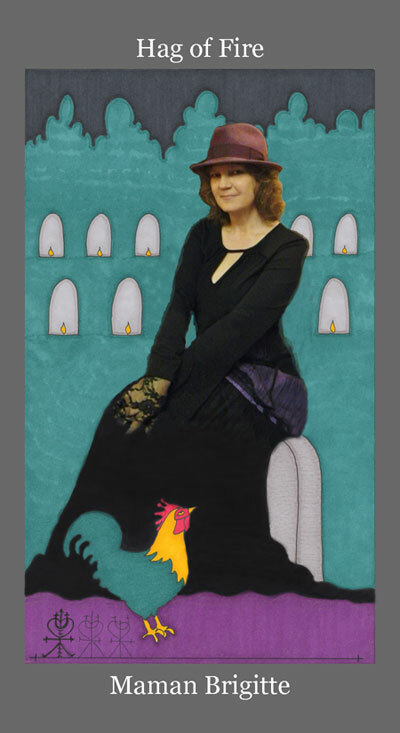 She is on the creative teams of other Tarot conferences such as the Readers Studio in New York (http://www.tarotschool.com) and the Bay Area Tarot Symposium called BATS ( www.dodivination.com/ ) as a presenter, staff, reader and performer. The Twin Cities Metro Magazine named her one of the Twin Cities’ best psychics. She is the founder of a monthly experimental lab in St Paul called Twin Cities Tarot Collective Meetup and is loads of fun. She is also a co-director of theater and ritual for the Curious Order of the Arcana Arts with her talented cohorts Rhonda Lund and Dan Pelletier. They hope some day to present at the Edinborough Fringe Festival. Ellen Lorenzi-Prince is the acclaimed, beloved novelist, Tarot writer & artist of several decks including Tarot of the Crone and the forthcoming Kali Tarot. The Dark Goddess Tarot is a 78 card tarot deck with a goddess or mythical female figure depicted on each card. The structure is traditional although several cards have been renamed. Among these are Sovereignty (Emperor), Corruption (Devil), and Liberation (Judgment). A tarot collector and student of tarot since 1995, Melani is most interested in the intersection of tarot and other areas of study, such as psychology, mythology and religion. Though she has over 200 decks she does have a few favorites, which include: Bohemian Gothic, Deviant Moon, Druidcraft, Ma’at by Julie Cuccia-Watts, and the Minute Tarot by Robyn Tisch-Hollister. Melani’s left brain passion lies in the world of computers. Her latest projects involve creating websites for clients as diverse as churches, political campaigns, and teachers. © The Dark Goddess Lodge 2019. Premium WordPress Theme by CPOThemes.